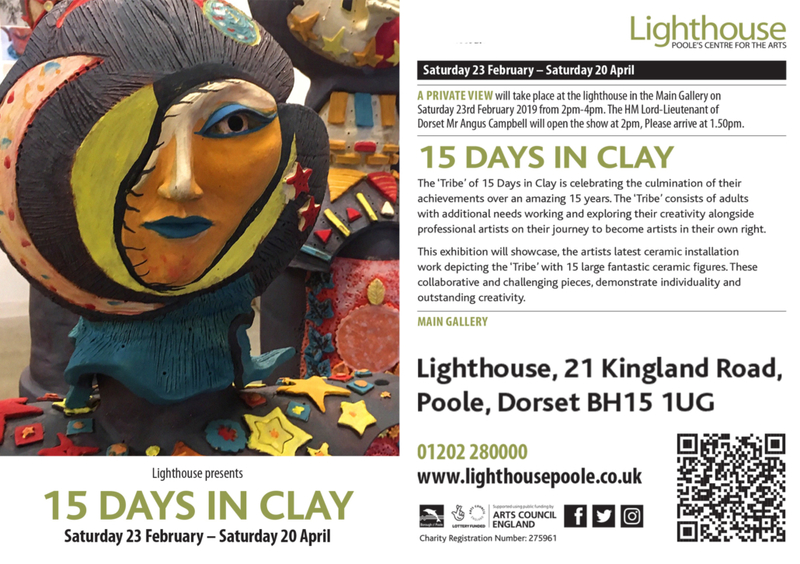 Founded in 2003 by Janna Edwards with a grant from ‘Awards For All’ 15 Days in Clay is a remarkable project based at Livability Holton Lee near Poole. 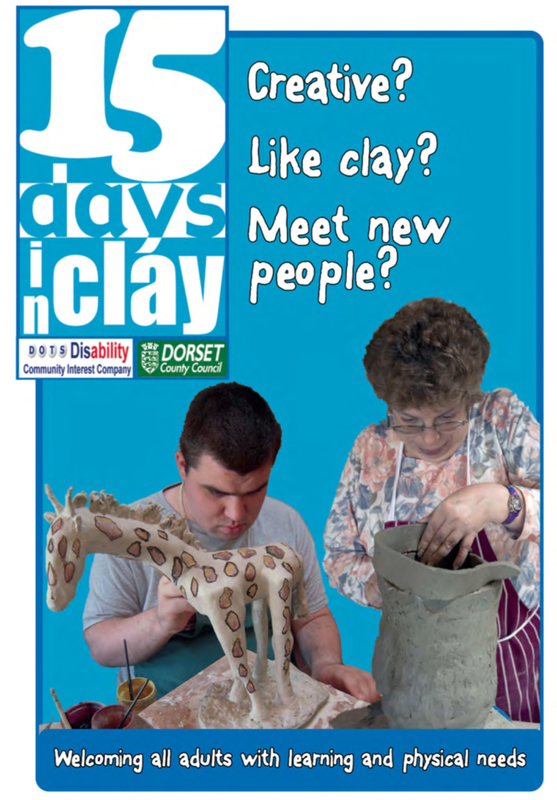 The initial group of adults with learning/additional needs met for 15 days over 15 weeks, hence the name. 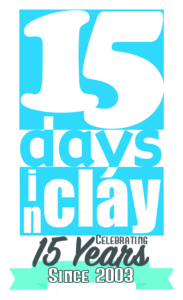 The project has grown over the years to four days a week, with over 40 adults enjoying the creative processes of hand building clay techniques. Supporting the project is a current team of eleven dedicated volunteers who make the project possible. 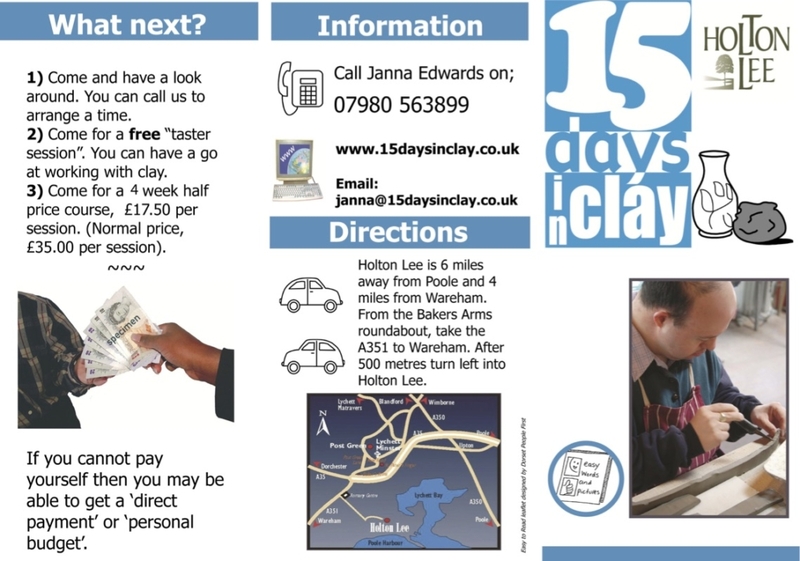 The opportunity is now open to anyone who has an interest in working with clay. 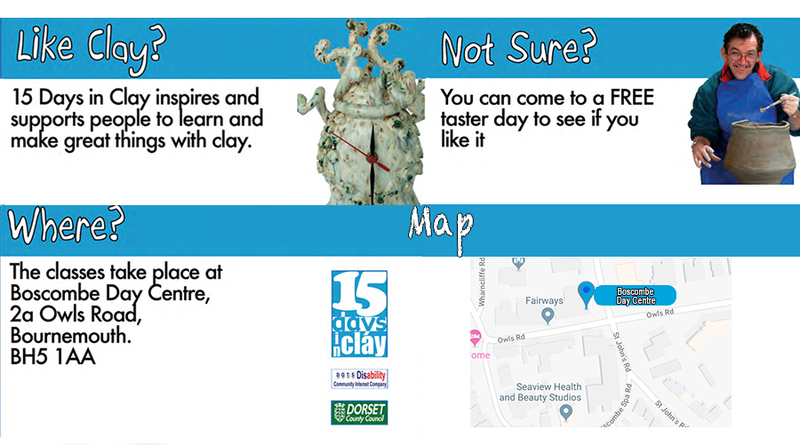 The courses available are Weekend family Clay sessions, workshops & clay courses available, birthday parties, Hen parties are all catered for. 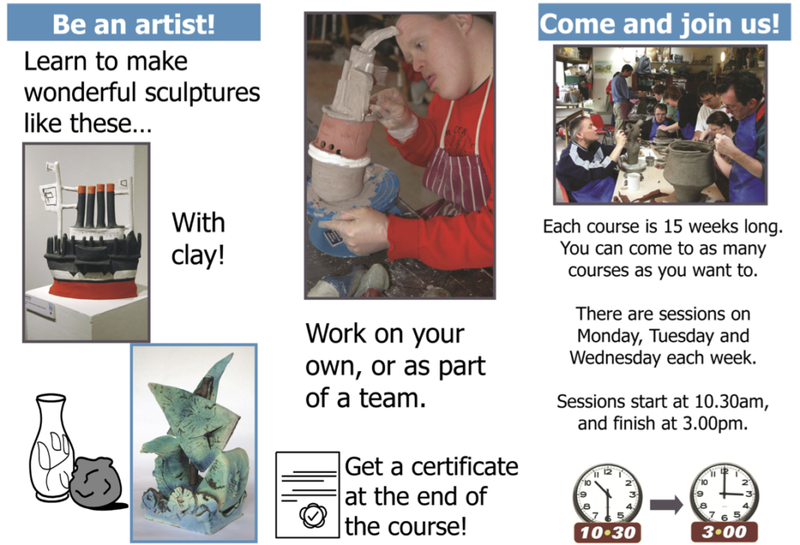 Specialised workshops for individuals with dementia and their carers. Vouchers can also be used for classes if you are a carer eligible for the CRISP take a break scheme. Volunteer opportunities are available, no experience required.